A picturesque community located near Tagaytay city, Kohana Grove is a Balinese- themed project with a modern Asian twist which takes its roots from the Zen style. With simple, clean lines and neural hues, Kohana Grove is incorporated with outdoor elements inside each house which makes for a relaxing and soothing atmosphere. This 8- hectare property situated near malls, schools, and hospitals, boasts of houses ranging from 42 to 74 square meters boasts of top of the line amenities at your disposal. From a children's park and playground to a basketball court and swimming pool, Kohana Grove gives you the tools to do what you want, when you want. At Kohana Grove, you can achieve your personal nirvana. The South has always been an attractive place to live, thanks to its tranquil communities and laidback charm. The southern part of Luzon—which includes the provinces of Cavite, Laguna, Batangas, Rizal, and Quezon (collectively known as the Calabarzon Region)—is a popular area to settle in, because of generously cut properties, lush greenery, stunning views, and accessibility to Metro Manila’s most important business and commercial districts. Cavite is situated right at the entrance of Manila Bay and boasts of rolling hinterlands and hills. This topography makes for a varied terrain perfect for different types of residential property preferences. The province is home to a central hilly area, which is located around the mountain foot slope and characterized by steep hills, an elevated inland valley, and ridges. The municipality of Silang has this kind of topography, which makes for a unique living experience for its residents. Situated 27 miles south of Metro Manila, Silang is a municipality bounded by General Trias, General Mariano Alvarez, and Dasmariñas in the north, the picturesque Tagaytay City in the south, and Amadeo in the west. Thanks to Silang’s proximity to Tagaytay City, this municipality is known for having a cool and invigorating climate. Many Filipino homebuyers opt for the more budget-friendly municipality of Silang instead of Tagaytay, because these two areas share the same cool climate and appealing southern charm. Like many of the cities and municipalities found in the province of Cavite, Silang is a mainly agricultural area; this municipality is best known for its bountiful harvest of coffee, banana, pineapple, corn, coconut, mango, guava, avocado, lansones, jackfruit, and caimito. Silang boasts of very fertile soil and abundant water sources that allow usual commercial crops, as well as high value and exotic crops sought by consumers all over the world. One of the best things about living in the municipality of Silang is easy and convenient access to some of the freshest produce in the region—and at attractive prices that one will never find in the supermarkets and wet markets in Metro Manila. The combination of the great weather, the reasonable property prices, the close proximity to a prominent tourist destination, the fresh air, the tranquil residential communities, and access to healthy and fresh produce make Silang a truly attractive place to live in, especially for young couples and growing families. Recognizing the potential of this municipality to offer unforgettable living experiences for more Filipinos, Northpine Land designed and developed an exciting new real estate project, which is called Kohana Grove. This beautifully designed subdivision, which spreads over a sprawling eight-hectare property, is a picturesque community located just 20 minutes to and from Tagaytay City. Kohana Grove boasts of a modern Asian theme, which is evident in every intricately designed nook and cranny of the community. The modern Asian aesthetic of this subdivision draws inspiration from the Zen style, which perfectly captures the tranquil ambiance that this Northpine Land development offers. To fully maximize the surrounding wonders only found in this part of Southern Luzon, Northpine Land has thoughtfully added outdoor elements inside every home in the property to deliver a refreshing, relaxing, and soothing atmosphere to every resident. Aside from the charming outdoor spaces, future residents of Kohana Grove will also enjoy proximity to the municipality’s commercial centers, schools, and hospitals. They will also enjoy exclusive use of luxuriously designed features and amenities such as a children’s park and playground, a swimming pool, and a full-sized swimming pool. Northpine Land has specially designed and developed Kohana Grove for residents to achieve and experience their own personal nirvana. There are six different home models to fit the different needs and preferences of future Kohana Groves residents. The first one is the Zinnia model, a single-detached, two-story structure that offers a total floor area of 85 square meters and a lot area of 106 square meters. 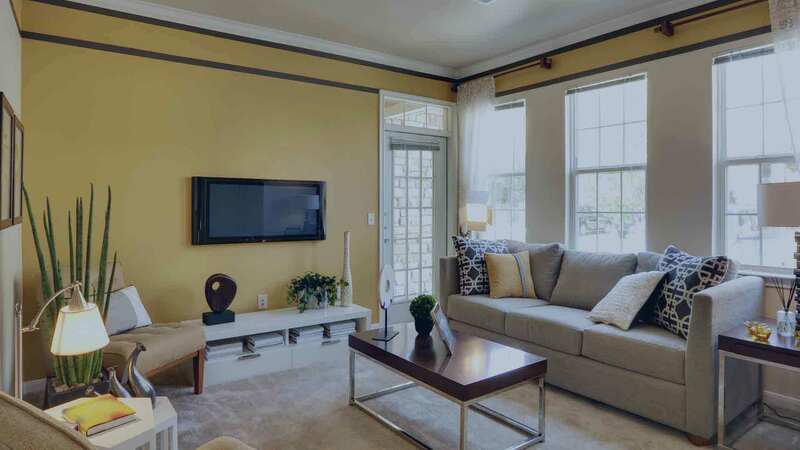 The Zinnia comes with separate living and dining areas, a kitchen, a dedicated service area, a cozy porch, three bedrooms at the second floor, two toilets and baths, a balcony, and a quaint Juliet balcony. Ideal for the growing family is the Vanilla model, which clocks in at a total floor area of 58 square meters on a lot area of 80 square meters. This single-detached, two-story model comes with separate living and dining areas, a cozy kitchen, two bedrooms on the second floor, one toilet and bath, a porch, and a dirty kitchen in the back. The Vanilla also boasts of a rear and side fence, simple yet tasteful landscaping, and a single-vehicle carport with a trellis. There is also the single-detached Magnolia model, which boasts of a total floor area of 50 square meters and a lot area of 90 square meters. It also has a separate living and dining areas, a kitchen, two bedrooms, a toilet and bath, a porch, a loft, and a dirty kitchen area in the back. It also comes with simple landscaping, fences on the rear and side of the property, and a single-vehicle carport with a trellis. Another option is the Lotus model, a single-detached unit that clocks in at 42 square meters and a lot area of 80 square meters. It comes with separate living and dining areas, one bedroom, a cozy kitchen, a toilet and bedroom, a porch, a dirty kitchen area in the back, and a loft. The exteriors of the property come with a simple yet tasteful landscaping in the front lawn, a carport covered by a charming trellis, and rear and side fences. The two-story, single-detached Gardenia model offers 67 square meters of total floor area and a lot area of 80 square meters. This model also offers separate dining and living areas, a cozy kitchen, two bedrooms, a toilet and bath in each floor, a porch, and a dirty kitchen area located in the back. Like the other home models, the Gardenia option also comes with simple yet tasteful landscaping, rear and side fencing, and a single-vehicle carport with a trellis cover. Finally, there is the Cattleya model, a single-detached, two-story unit that offers a total floor area of 74 square meters and a lot area of 90 square meters. This model comes with separate living and dining areas, a cozy kitchen, three bedrooms, a toilet and bath in each floor, a dirty kitchen area in the back of the property, a spacious family hall, a porch, and a carport with the buyer’s choice of a balcony or trellis cover. It also comes with a landscaped front lawn and fences on the rear and sides of the property. Living in Kohana Grove with these beautiful model options and well-designed amenities is truly soothing, relaxing, and enjoyable—perfect for those in the market for a primary home, holiday home, or something to rent out or resell in the future. Northpine Land Kohana Grove in Cavite, Philippines is a premier House & Lot project available for sale. If you're looking to rent or purchase Kohana Grove, then check here first. We have full details of Kohana Grove updated regularly as well as everything you need to know about the availing and booking process, broken down into stages that includes selecting a unit, choosing a payment plan and buying your dream home at the right price. For price list, free site tripping or showroom visit, personalized service, model house, unit plans, floor plans, payment terms, CHAT LIVE with an agent 24x7. We are Remax Perfect Homes. Always only buy from PRC licensed Real Estate Brokers and Agents.